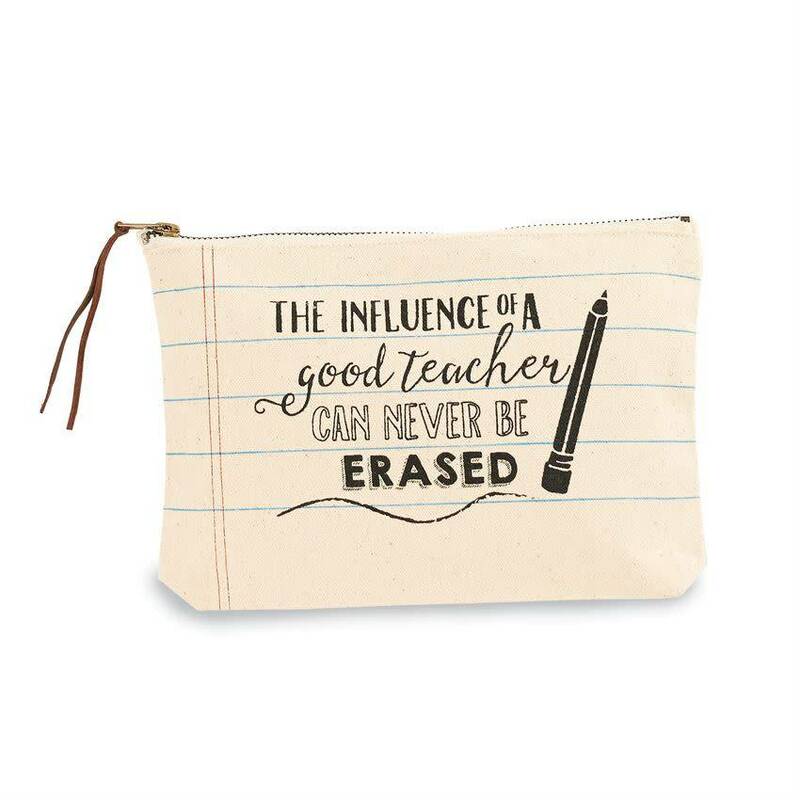 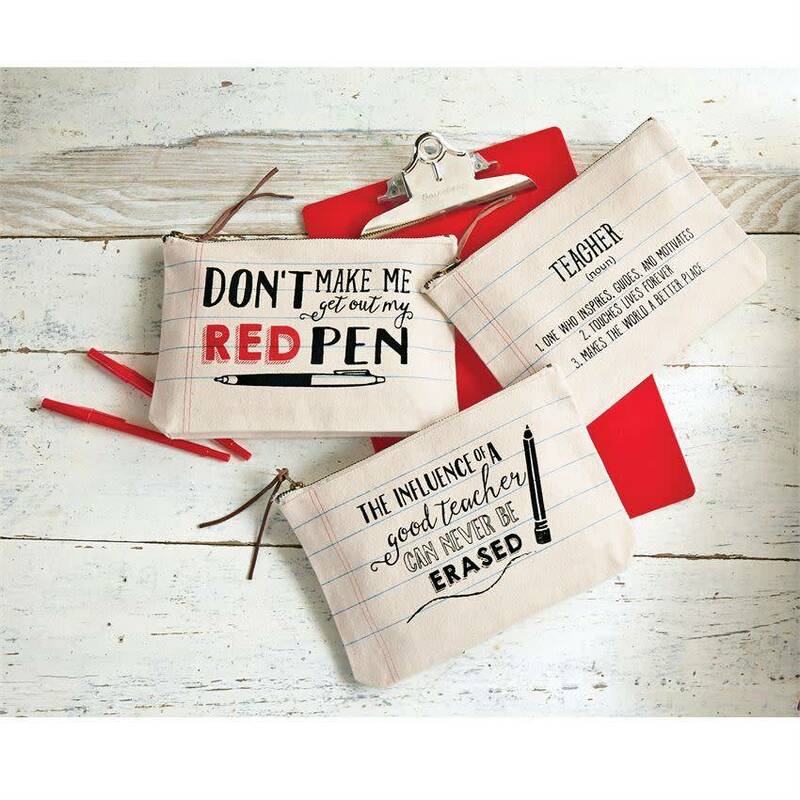 Heavyweight canvas zippered pouch features printed notebook paper print and "TEACHER" definition, "DON'T MAKE ME get out my RED PEN" or "THE INFLUENCE OF A good teacher CAN NEVER BE ERASED" sentiment. 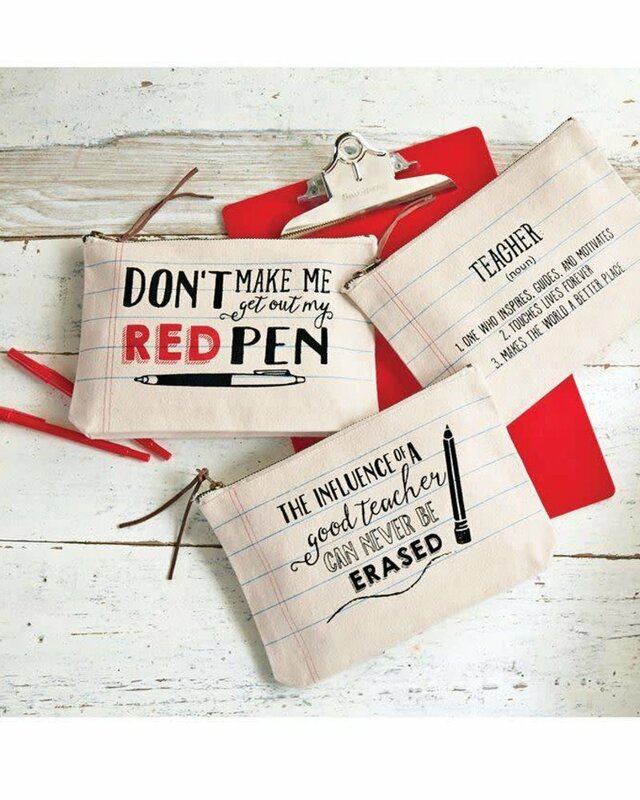 Personalize by adding the teachers name! 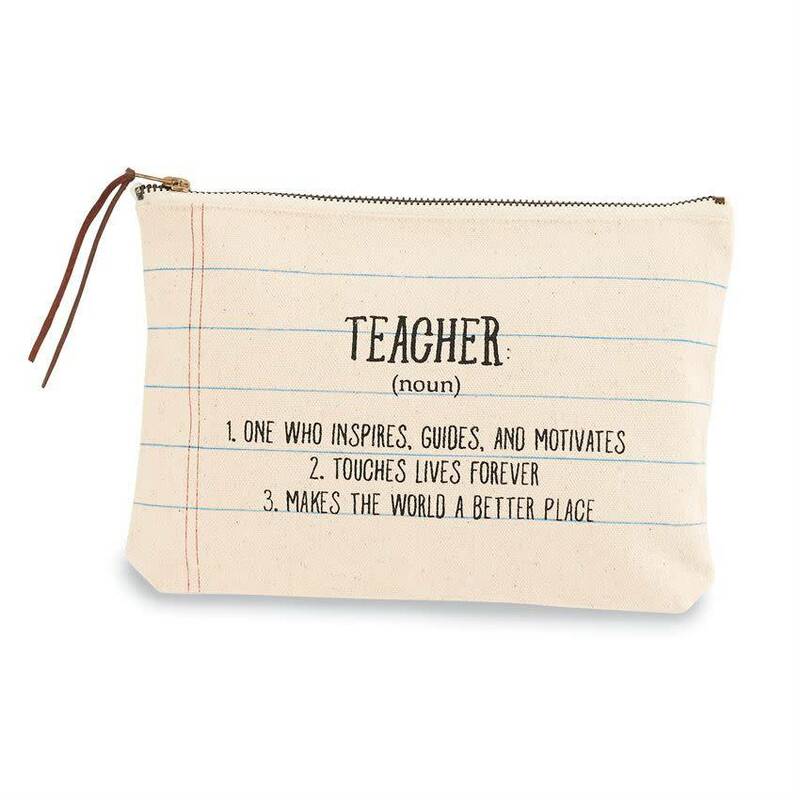 Size: 6 1/2" x 9"
Embroidery personalization included (opposite side of design). 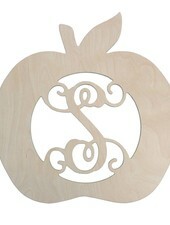 Wood sign features vine monogram initial within apple outline - perfect teacher gift or classroom decor. 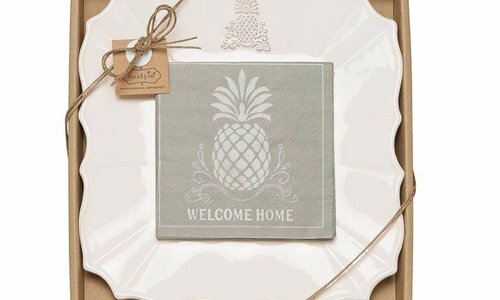 Arrives unfinished and ready to paint. 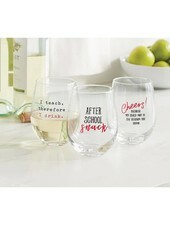 Stemless wine glass features teacher themed sentiment: "After School Snack," "I Teach Therefore I Drink," or "Cheers! 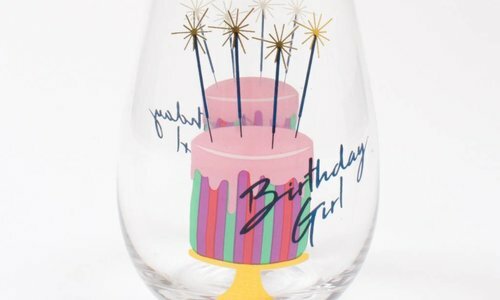 Because My Child May Be The Reason You Drink." 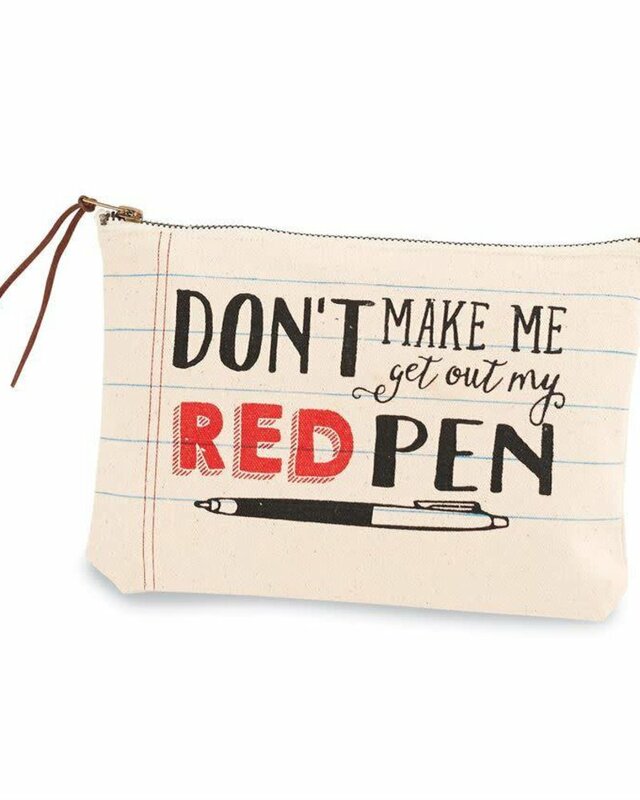 Available separately. 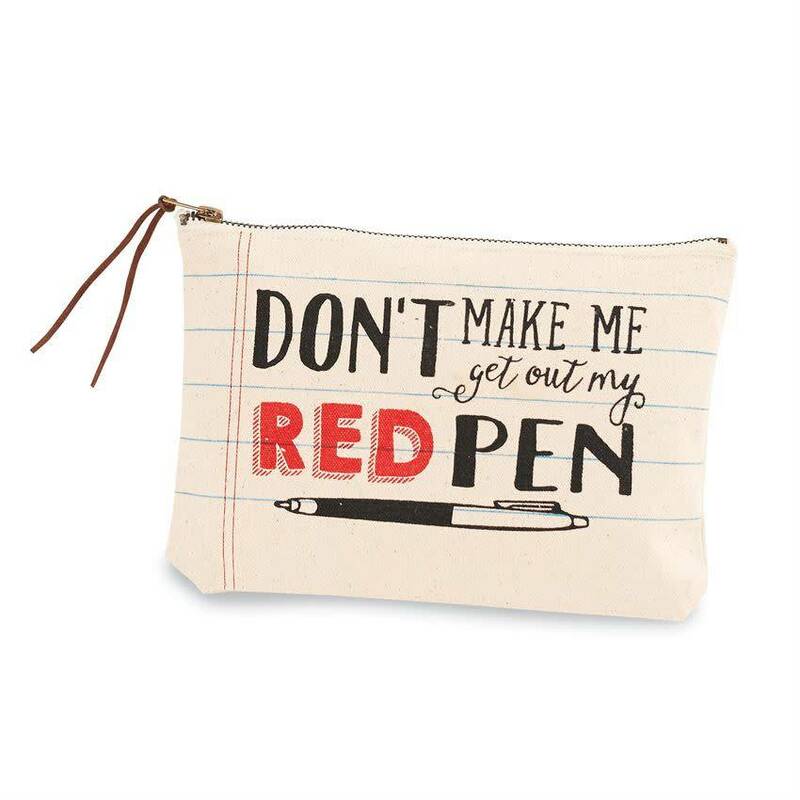 This makeup bag has a classic two-tone canvas body with metallic trim. 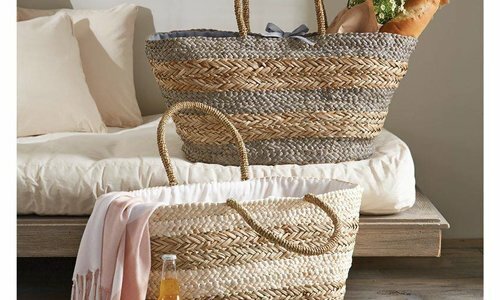 Store cosmetics, toiletries or small accessories in personalized style by adding a name or monogram. 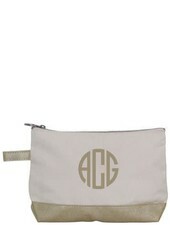 Great gift for bridesmaids or bride-to-be. 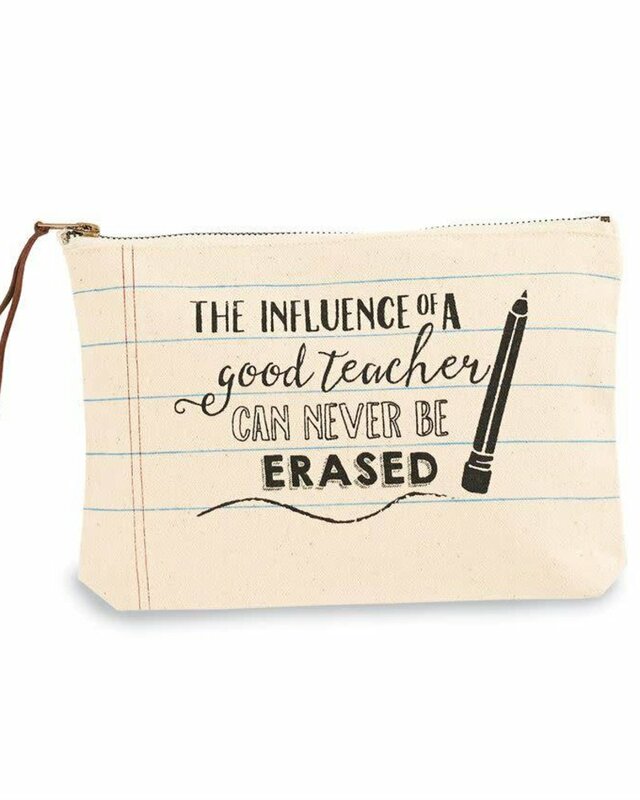 Wood blocks turn to count down the "Days Until" Spring Break, Summer Break, Fall Break and Winter Break. 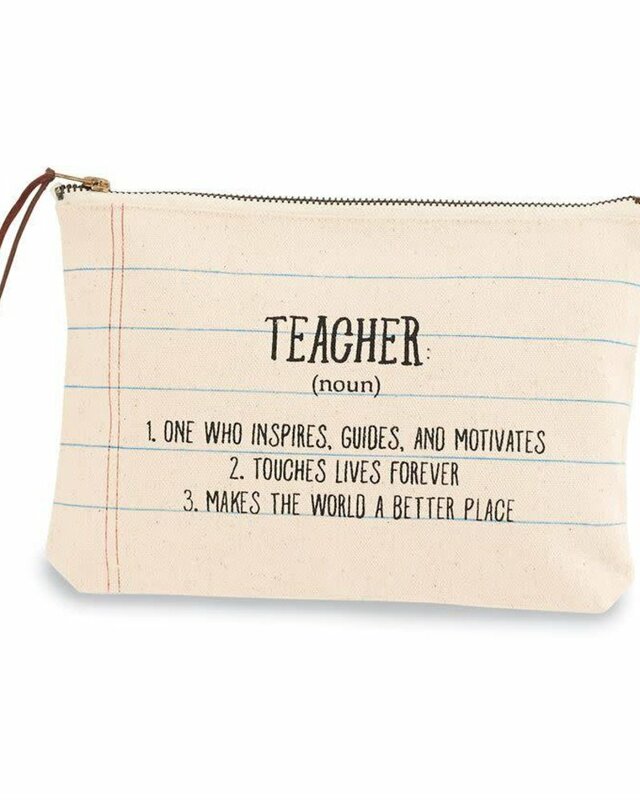 Makes a great gift for teacher appreciation.